From: I was born in Salt Lake City and grew up there. I lived for two years on the coast of Oregon at ages 7-8, and I lived in Peru for 18 months at 21-22. I have now lived in Grand Junction, CO for 19 years. Can you tell me about the first piece you remember writing? I don’t remember for sure if it was the very first “story” I wrote once I decided to try and write a children’s picture book, but Just One More, was certainly one of the first. When I lived in Peru I was fascinated by the crazy bus rides I took (since drivers cram their buses as full as they can get them, and people bring animals of all sorts aboard). I knew that multicultural stories were something publishers were looking for and I thought I could make a funny book telling the tale of a young boy who is so crammed in he can’t get off the bus. Just One More ended up being my first published picture book (after 7 years of submitting and after 24 rejections). When did you first realize you wanted to pursue writing as a profession? I was an elementary school teacher for 11 years, until my 3rd child was born. I quit teaching to stay at home with my kids. I didn’t really like so many of the domestic things stay-at-home mom’s often do (cooking, gardening, sewing, crafting, etc.). I started looking into how to write teacher resource books, as I thought that might be something I could do to earn a little money. The more I looked into that the more I realized that I really wanted to write fiction picture books. They were something I had always had a passion for reading… so why not help create what I loved to read most? Is there anyone who went out of their way to help or advise you during your journey to become a published author? When I first began writing, I pretty much began on my own. As there was no internet to use, I checked books out of the library on “how to get published” and purchased a copy of the Children’s Writers and Illustrator’s Market Guide. I joined SCBWI, and began sending away to publishers for the author’s guidelines. Since I had three tiny children, I wasn’t really able to attend conferences often (I only went to one during the first five years of my writing career. I didn’t have a critique group or anything at that point, so SCBWI was probably my best source for help. However, once I moved to Grand Junction, I found a group of three other writers who became my critique group and their help was absolutely critical to improving my writing and helping me get published. Cherie Winner, Linda Armstrong and Penny Stine hold a very dear place in my heart. We laughed a lot, and learned a lot and I credit their help for my success. Years later, Diane Hower moved to town and revitalized the local SCBWI members (and we formed another critique group here in town which was amazing). There’s nothing more helpful than having a good critique group! Do you exclusively write picture books or have you written in other genres? I write everything from ages 0 to about 8. (I think my brain quit growing after 3rd grade!). I have written board books, early readers, picture books and young chapter books. I have also had numerous stories in children’s magazines. (I have absolutely NO ideas for middle grade or YA novels). I have done considerable writing for the educational market, which has included writing reading passages that are used for standardized tests from Kindergarten to Grade 12 levels, and a number of teacher resource books for middle grades. I did the puzzles for the puzzle spreads in OWL Magazine for two years, and have done a variety of work-for-hire assignments of all sorts. I will try almost anything. What is your schedule like when you’re writing a book? Is it difficult to achieve a work, life, write balance? I will admit that I go through cycles in my writing. There are times when I can write every day and be productive, and other times when my family has greater needs and I am lucky to get in any writing time for weeks. There are also times when I have a few hours to work on my writing and nothing comes out right. Those are the most frustrating days because my available time is so limited I hate to not be productive. I have learned that is just the nature of the process and I have to live with that. I do try to do something writing-related EVERY day. If I can’t write or revise something I try to research or send out queries, etc. I read, on average, 25-30 picture books per week. I request so many picture books from the library (that are shipped in from all over the area), that they have given me my own reserve shelf. I think there is nothing that helps more with my writing than reading the wonderful writing of others. It gives me a feel for what works and why. It generates new ideas and shows me new ways to structure or approach a story. Once I figure out what it is that I want my story to be, and know how I want to approach it the first draft usually doesn’t take long (maybe a few hours to a day or two). But, it can take me many tries at starting a story to figure out what execution might work. Once a draft is done and I start revisions it will usually be many, many months (or even years) of getting feedback, revising, putting it away for a while and getting it back out to take a fresh look, then revising again, over and over, before I feel a book is ready to go on submission. It’s crazy, but most of my books that have sold have taken at least a year to get “right”. Can you describe the preparation/research you do for each book? I have numerous notebooks full of possible ideas for picture books. When I choose one to start working on I might look for other picture books on similar topics/themes to see what is already out there. I brainstorm every idea, word or notion that comes to mind on the theme and try to think of a unique approach. If a book has science elements or some character that is an animal, I will, of course, get as many books from the library as I can find on the topic to learn more. I love reading other children’s books about a topic (i.e. the states of matter, hedgehogs, etc.) because they explain things so simply. It’s the easiest way to learn about something. Do you have any quirky writing habits (the things you’d never want anyone to know)? I don’t know if it is quirky, but I find that every time I am sitting at the computer writing, I get a craving for gumdrops. I try to resist the temptation, but often cave and eat a few… just for inspiration! Have you ever done a literary pilgrimage—or any interesting research—for your novels? If not, do you have a research destination bucket list? I haven’t gone on a trip specifically to do research for a story (although that sounds delightful! ), but when our family went to Peru to visit relatives in 2008 I was taking good notes for future story ideas. We visited the Inca ruins of Machu Picchu (where a current story is set) and the Amazon Rain Forest (where several older stories have been set). Anywhere I go I am watching for inspiration for stories. Inspiration comes in many forms. Can you recall the exact moment of inspiration for each of your projects? Not so much an exact moment… more like a general time frame. As I said before, I have notebooks full of possible ideas. I might think of a title or character or plot idea and write it down, and then later work on it over time to see if a whole story comes of it. For example, I saw a facebook video or a person in a tyrannosaurus costume wearing a tutu and visiting some office somewhere. It gave me the idea for a character who is a tyrannosaurus who desperately wants to dance ballet, but struggles because she has those itty bitty arms that can’t reach the barre and clunky legs and a long tail that gets in the way. But it took some time after seeing the video before the story idea came around. Do you have a specific genre you prefer to read? What are your favorites? Of course I read picture books by the hundreds (as that is my preferred genre, and there are SO many wonderful ones being published lately I could never choose a favorite. When I read adult stuff I find I tend to lean towards thrillers because they keep me from falling asleep as I read (or drive if I am listening). 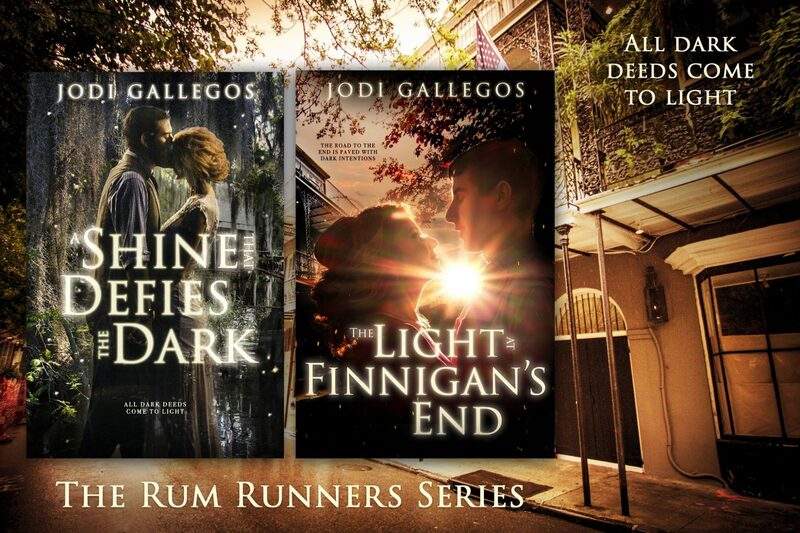 Do you hide any secrets in your books that only a few people will find or know the real inspiration for? I haven’t done that yet… but what an intriguing idea! Are your characters inspired—in part or whole—by people in your real life? Sometimes. In fact, my Turkey character was inspired by a “pet” turkey that a family had that I lived with for a time in Peru. This turkey acted just like one of the family dogs. He would come running when leftovers were scraped into the feeding trough, and would follow people around, wanting attention. I never knew turkeys had so much personality! Name one book you think is entirely underappreciated. There is a wordless picture book called The Grey Lady and the Strawberry Snatcher by Molly Bang. It has to be one of my all-time favorite picture books. It was published in 1996, and was actually a Caldecott Honor book, with truly incredible illustrations (the grandmother in the story is depicted in negative space… so clever and fun). However, I hardly ever hear anything about this book, or see it on recommended reading lists, or anywhere. Every child deserves to know about this book. My five children and I have received such delight in reading it. Be honest: Do you Google yourself? Once in a while. It’s sort of scary to see what comes up! As a writer, which animal would you choose as your mascot/avatar/patronus? A Llama or alpaca. I fell in love with them in Peru, and have a fascination for them now. Is there one thing you think you, as a writer, should be better at, but secretly struggle with? Yes. I struggle with critiquing the work of other writers. I can tell you if a manuscript is working and if I like it, or if I feel like there’s something amiss, but I struggle to be able to put my finger on exactly what is right or wrong sometimes. What is one word of advice you’d give to an aspiring writer? Be patient and persistent. Even great work can take a long time to get published. You have to hit the right editor or agent with the right thing at the right time. Keep learning how to better the craft and don’t give up! What is one word of advice you’d give to a newly published author? Do what you can to market your own work. Publishers often don’t do that much, and it is up to you to create a buzz. In what ways do you “pay it forward” to help other aspiring writers? I love talking to aspiring writers. They are so enthusiastic and anxious to learn. I am the local area coordinator for the Western Slope Area of the Rocky Mountain Region of SCBWI. I help organize and coordinate writing “Connects” in our local area so writers have a chance to get together and learn from each other. 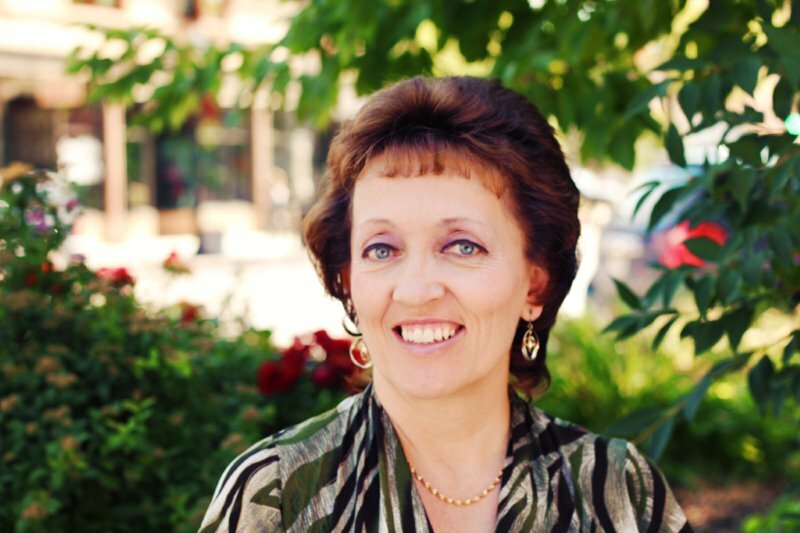 Want to know more about Wendi? Turkey is in trouble. Bad trouble. The kind of trouble where it’s almost Thanksgiving… and you’re the main course. But Turkey has an idea- what if he doesn’t look like a turkey? What if he looks like another animal instead? After many hilarious attempts, Turkey comes up with the perfect disguise to make this Thanksgiving the best ever! This delightful book is a Children’s Choice Award winner! Turkey is in trouble…again. He made it through Thanksgiving without becoming a turkey dinner, but now it’s almost Christmas, and guess what’s on the menu? Turkey decides the only thing to do is to ask Santa for help. He sets off for the North Pole, but getting in to see Santa on Christmas Eve isn’t as easy as Turkey expected. It’s going to take all his ideas- and his clever disguises- to find a way into Santa’s house. 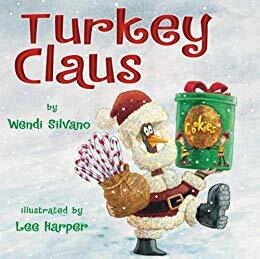 After many hilarious attempts, Turkey comes up with the perfect disguise, and Santa has the perfect solution! Everyone loves Halloween candy—even Turkey. But how can he and his barnyard friends get any when the farmers give it out only to children? With a costume, of course! As his pals look on, Turkey comes up with one clever costume after the next. 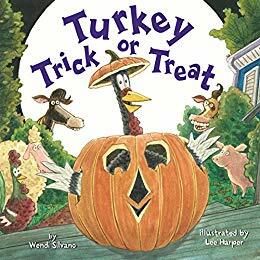 Each trick gets better and better…but will Turkey and his friends end up with any treats? 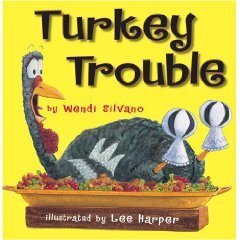 This hilarious companion to Turkey Trouble and Turkey Claus is filled to the brim with holiday fun. Hector doesn’t know what he’s in for when he climbs aboard a bus high up in the Andes Mountains. He watches in disbelief as the driver lets MORE people and MORE animals on the already swaying and bouncing bus until it’s ready to burst. “There’s no more room. This bus is packed.” said Hector. 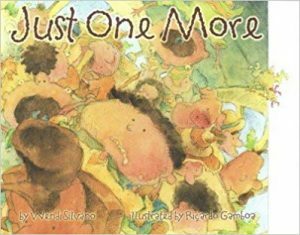 This bus is piled and stacked up to the roof and out the door!” But the bus driver hollered, “Just one more!” Come along with Hector as he learns a valuable lesson. There’s always room for just one more. 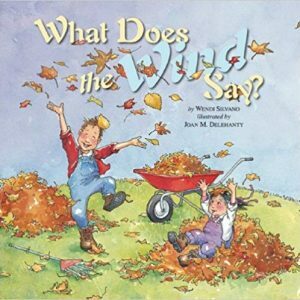 What Does the Wind Say? A rhyming picture book for 3-5 year-olds that poses playful questions about some of children’s favorite things, like the moon, clouds, frogs and raindrops. From whish-a-woo to peek-a-boo! the answers to the questions make for lively poetry. Warm, charming illustrations depict familiar scenes for little ones. 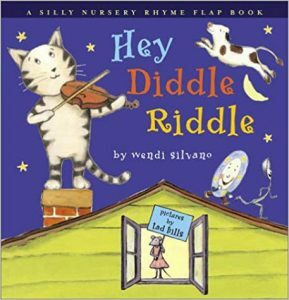 Enhanced with gatefold flaps and bold illustrations, a silly book will challenge kids to guess the answers to simple riddles featuring the dish and the spoon, the three kittens, and other classic nursery rhyme characters. Help! Monkey is hungry. But before he can eat his coconuts, he must find the fastest way to count them. A trio of tapirs, a slithering boa, an oh-so-slow sloth, and a wickedly wise jaguar are among the rainforest animals that suggest various counting methods. 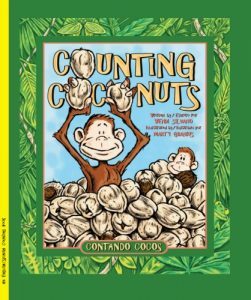 Learn to count by sets and help Monkey complete his comical, ever-changing, arithmetic task.